Dentists know that good oral health begins in childhood — and that for various reasons, many children are afraid of the dentist. It’s a predicament that challenges many dental practices that hope to get more young patients. Looking to get more children in your patient base? DentalVibe alleviates kids’ fears of injection pain at the dentist. Tip #1: Promote yourself as a “family” dental practice that serves all ages. Make sure your website includes language that makes it clear to parents that your office is well-equipped for children, and that your practice is kid-friendly. Provide children’s books, toys, and magazines in the waiting area. When it’s time for the dental appointment, ask the child if they’d like their parent in the room. This can help them feel more at ease. Tip #2: Talk to the child on their level. Crouch down and meet the child eye to eye when you talk to them. Smile, and explain what you’ll be doing directly to them in kid-friendly terms. Have them do deep breathing exercises. If a child seems anxious, guide them through a few deep breaths in and out while sitting in the chair. Or, invest in some guided imagery designed for children and give the child a pair of headphones and a listening device. Tip #3: Distract them the child from the dental procedure. Put a television above the chair that includes a variety of kid-friendly shows or channels. This will help pull the child’s mind away from the procedure or check-up. If the procedure involves an injection, consider DentalVibe, which is proven to reduce patient pain and anxiety, including with adolescent patients. Tip #4: Give the child control over the dental visit. Tell the child that they can raise their hand anytime they want you to stop. This is important, because if the child begins to feel uncomfortable in the chair or scared, you want to give them an opportunity to tell you so that you can correct the situation, or give them a small break. Tip #5: Reward the child after the dental practice. Tip #6: Don’t forget about the parents. Becoming a kid-friendly dental practice can not only help provide care to this important age group, but might also bring in other family members. 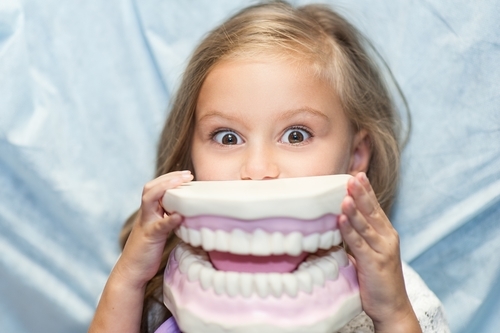 Making kids happy with their dental visit is a win-win situation for today’s dental professionals. With the DentalVibe® Comfort Injection System, kids won’t have to worry about the pain of an injection. Download our free whitepaper, The Benefits of Vibration on Dental Pain and Anxiety, to discover how DentalVibe can benefit your practice. Do you want to attract more patients to your dental practice? More than 30 million Americans refuse to go to the dentist because of a fear of needles. Discover how DentalVibe can help.